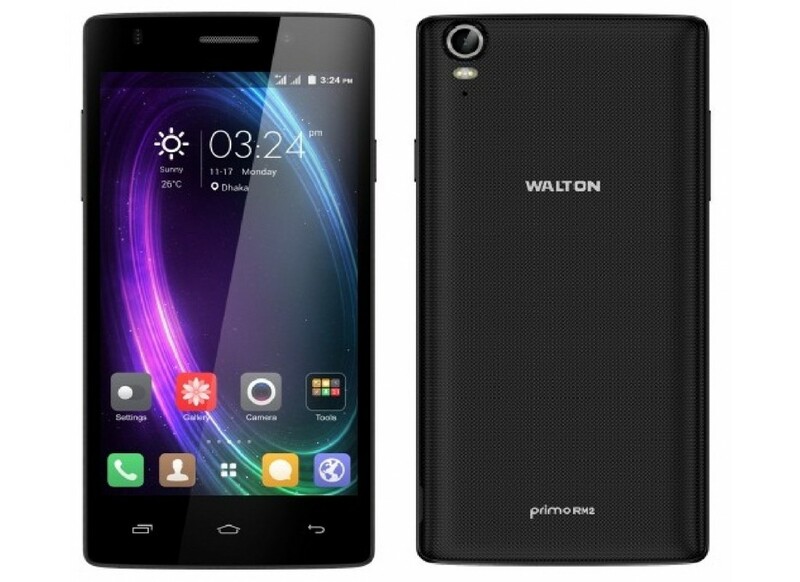 Walton Primo RM2. This Mobile Phone Contains Some Excellent Features, Which Were Not Present In Many Of The Previous Handsets Of Walton. It Contains Android Lollipop 5.0 Operating System, 1.3 Ghz Quad Core Processor, GPU Mali 400, 2GB RAM, 16GB ROM, 5 Inch HD Display, 1280×720 Pixel Resolution, 13 MP Rear Camera, 5 MP Front Camera, 5000 Mah Super Power Battery And Some Sensors.